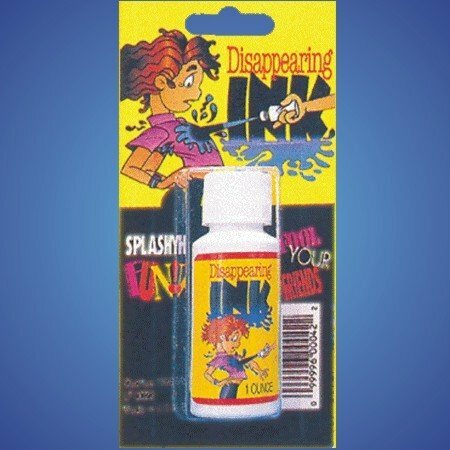 his is the classic disappearing ink prank ... It is probably one of the funniest pranks still around! No wonder it is still available after all these years. Each sealed container of ink holds one fluid ounce. When the ink is sprayed on your victim it looks like a huge ink stain but then gradually fades away. It is the perfect way to joke with your significant other that takes too long to get ready. 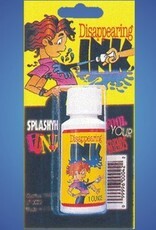 Simply squirt them with this disappearing ink once they are ready and watch them freak out! It disappears after about two or three minutes!